Louise's property career began back in 2004 working for a small property surveying firm. From there she joined Knight Frank LLP as Office and Total Image Manager for their Rural Consultancy team where she worked for five years before joining Knight Frank's Marylebone team. When they opened their new office in 2012, Louise was instrumental in the planning and implentation of their marketing campaign. 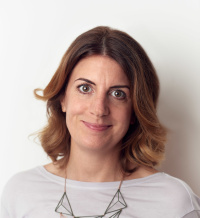 Louise is responsible for all aspects of the EastHaus marketing activity from creating multi channel marketing campaigns to securing national press coverage for our clients.